You can’t beat a good curry! If I was getting a takeaway 90% of the time I would go for a curry. When I was younger I used to really enjoy the coconut based curries like Korma, however over the years I have started prefer slightly spicier tomato based curries. The curry I probably order the most is a Rogan Josh closely followed by a Bhuna. It is fairly hard to come by a good curry out in France so I have had to try to make my own. I am not a huge fan of shop bought sauces because quite a few of them leave an aniseed after-taste in your mouth. That being said, they are very useful when you are in a rush and want to have a curry quickly. 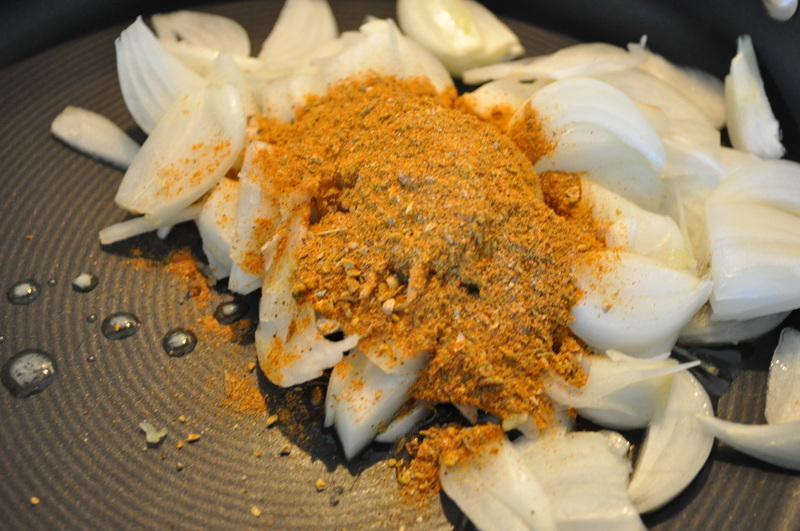 By contrast, the type of curry I have been making is a very slow cooked lamb curry, whilst it uses a lot of spices it is very simple to make. 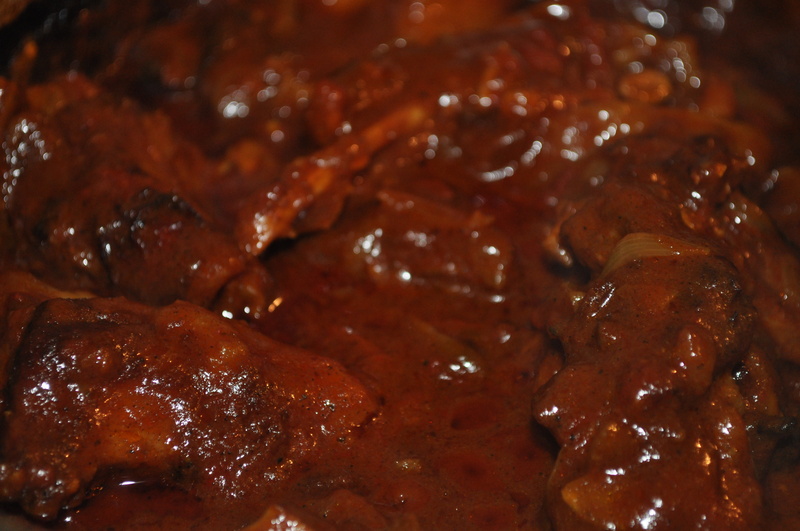 The joy of this curry is that once it is cooked the meat falls of the bone and is beautifully tender. 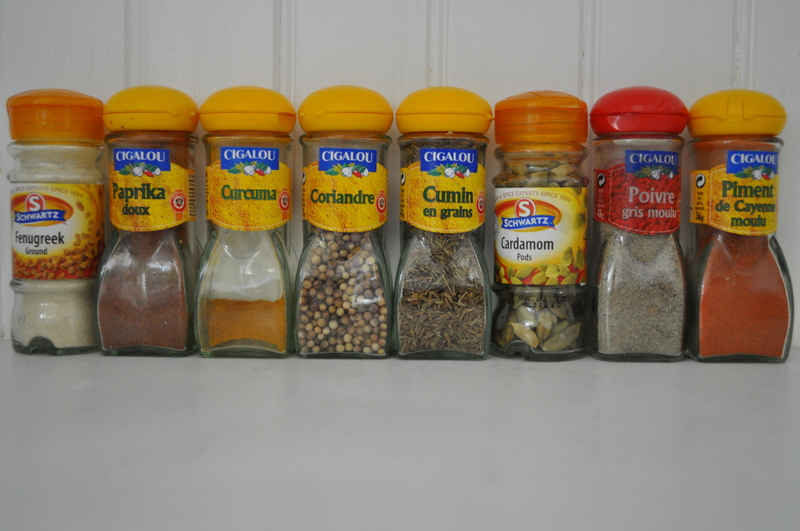 The spices I use give the curry a gentle warmth and would probably be best described as a medium spiced curry. For my friends who struggle with its heat I serve a yoghurt dip (a combination of yoghurt, lemon zest and cucumber) and sliced banana which counters all of the spice. Whilst I prefer this curry to be made with lamb I have in the past made it with rabbit and chicken which worked equally as well. 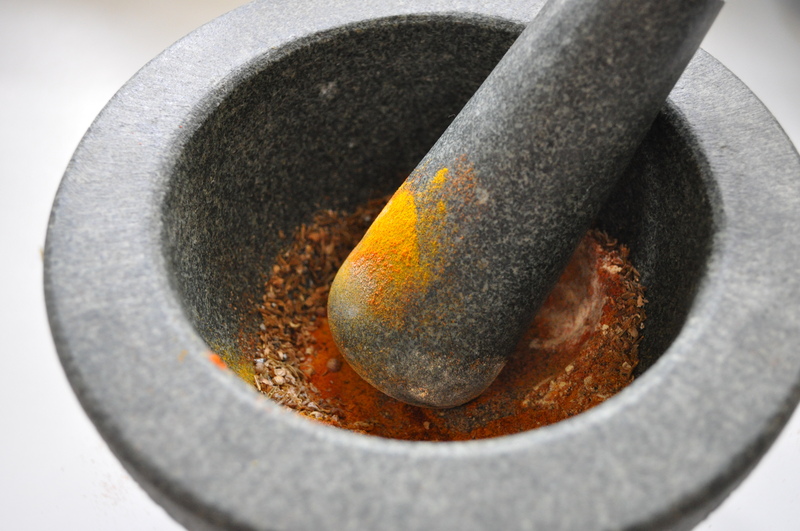 Place spices in a pestle and mortar and grind together. Place the garlic, onions, spices and oil in a large casserole pot (with a lid) and leave to cook on a low heat until the onions are soft. Add the lamb and leave to brown for roughly 5 minutes. Then add the rest of the ingredients to the casserole pot, give it a good stir before covering with the lid and placing in the oven for 2 – 2 ½ hours. Serve with rice and mango chutney. This entry was posted in main meal, recipes, slow cooking and tagged currynight, homemade, instayum, lamb, lowandslow, recipes, spices, takeaway, winterwarmers on October 18, 2012 by Antonia Cooks.